Oh my gosh!!! I can’t believe it. I just returned from Stampin Up’s Convention and was so excited when I was awarded Founder’s Circle. Founder’s Circle is truly an awesome achievement. It is a wonderful, warm retreat designed to recognize and pamper the top 100 demonstrators in the country. 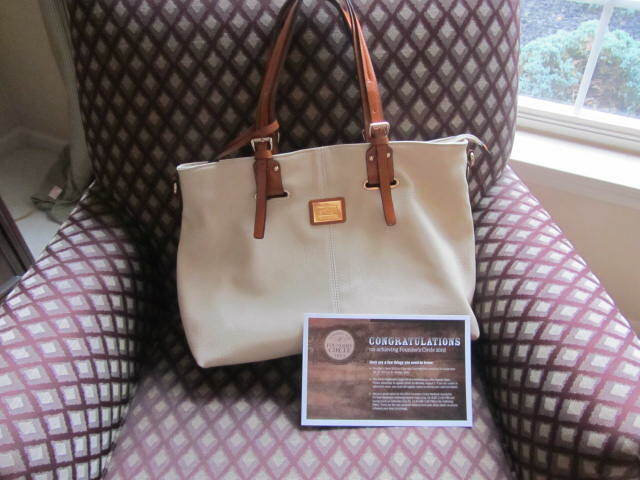 On stage at convention, I was also awarded this year’s Founder’s Circle bag. Isn’t it beautiful!! We went in one day early so we could do some shopping and site seeing. Here is a picture of my team in front of home office. My whole team went home with some amazing prizes. Check out all of this loot that every demonstrator received. It was the biggest Prize Patrol ever!! If you would like to be a part of our team, click here! « Stampin Up!! Too Kind Fun Fold!